A selection of press releases, articles and video content including media from our 2018 record attempt. 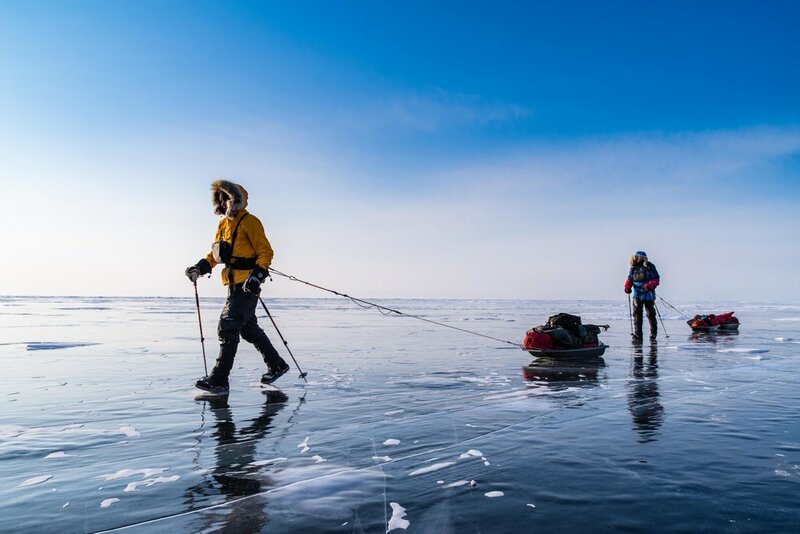 A trio of British endurance athletes has broken the speed record for an unsupported crossing of Siberia’s frozen Lake Baikal, completing the 639 km journey in 12 days, 21 hours and 13 minutes. The team of Scott Gilmour, Michael Stevenson and Rob Trigwell completed polar endurance training in Sweden before the expedition and actively targeted the speed record for Lake Baikal, a 13 day, 16 hour crossing by Kevin Vallely and Ray Zahab in 2010. A dad-of-four and his two friends have scooped a new speed record for crossing the world’s largest freshwater lake in bone-chilling temperatures. The eighth day he was out on the ice, Scott Gilmour’s eyes started to feel like jelly. They wobbled around in his sockets, and when he looked out, the world seemed like it was smeared with goo. Gilmour and his two companions had been facing headwinds for hours, walking on ice as hard as steel. A Wigan dad who broke a world record for crossing the world’s largest fresh water lake says his love for the outdoors is what helped him win his battle with alcohol. Copyright © 2018 All Photographs copyright Scott Gilmour (unless stated). Any logos are used with permission and copyright their respective owner. All rights reserved.